The move-in process from the company’s current facility will begin in April, and it’s expected to take more than six months as it involves moving more than 12,000 people. During this process, construction is scheduled to continue on park lands and various buildings. 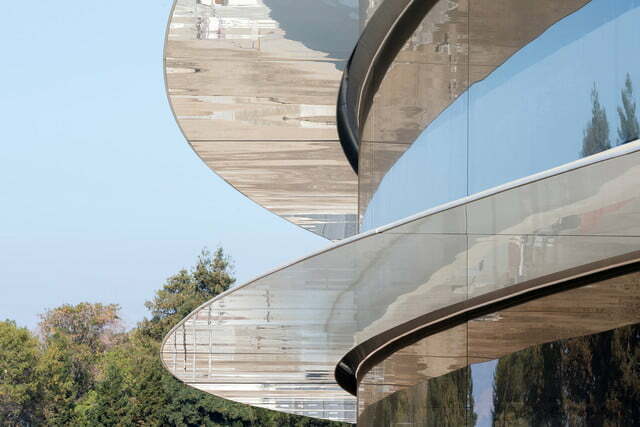 Apple Park’s circular structure is 2.8 million square feet, and the company says it’s “clad entirely in the world’s largest panels of curved glass.” Anyone will be able to visit the structure by way of the visitor center, which also houses a cafe that’s open to the public as well as an Apple Store. “We’ve achieved one of the most energy-efficient buildings in the world and the campus will run entirely on renewable energy,” said CEO Tim Cook in a statement. 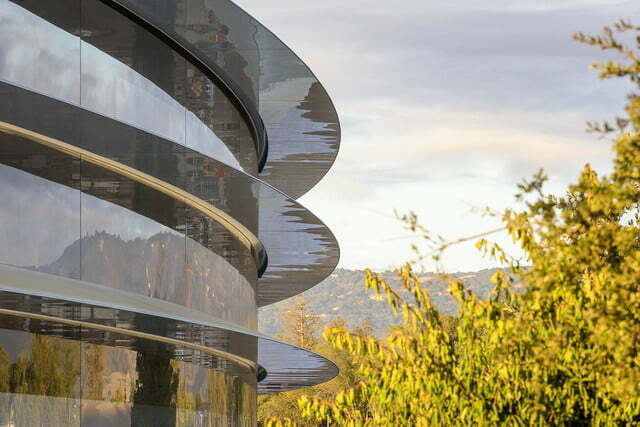 Apple Park also houses a 1,000-seat theater, which Cook said will be named the ‘Steve Jobs Theater’, in memory of the company’s co-founder and former CEO. 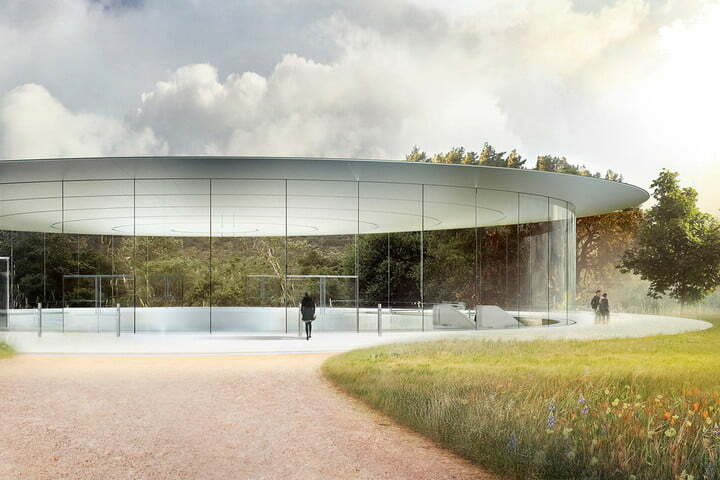 It sits at the top of a hill, one of the highest points in the Park, and the entrance features a 20-foot tall glass cylinder that supports a carbon-fiber roof. Apple employees will enjoy a 100,000 square-foot fitness center, sprawling research and development facilities, and more. There are more than two miles of walking paths, an orchard, meadow, and a pond in the interior circle. 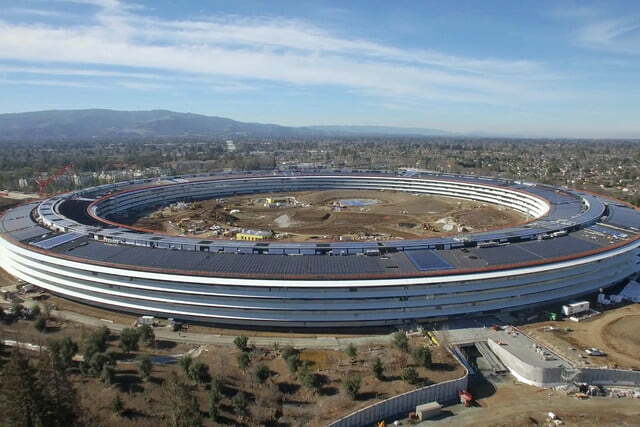 The company prides its economical impact of Apple Park, as it reportedly replaces 5 million square feet of asphalt and concrete “with grassy fields and over 9,000 native and drought-resistant trees.” Thanks to the solar panels on its roof, the headquarters will be one of the largest on-site solar energy installations, as well the world’s largest ventilated building. It does not require heating or air conditioning for about nine months of the year.